Entire communities in South Sudan are at risk of starvation, according to a Church leader, who says fighting continues despite the ceasefire. 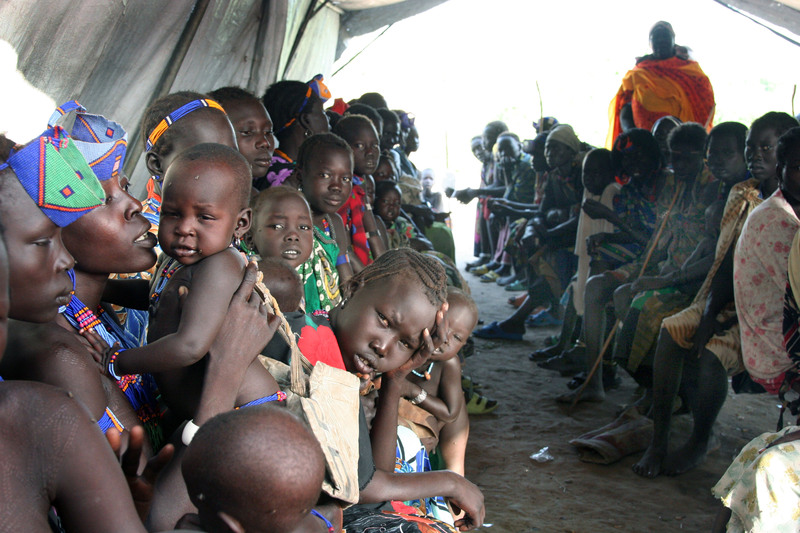 Monsignor Roko Taban Mousa said vast numbers of people are “in urgent need” across his diocese of Malakal which covers Upper Nile, Unity and Jonglei states. These areas have seen some of the worst fighting between government forces and rebel groups in recent weeks. Speaking on 13 February from South Sudan in an interview with Aid to the Church in Need, Mgr Taban warned of mass famine if aid – particularly food – is not sent quickly. Describing the difficulties of getting aid to the worst-affected areas, he said that, in spite of the ceasefire of 24 January, the fighting had continued – although the conflict was not as intense as before. Monsignor Taban, who is Apostolic Administrator of Malakal, in effect acting bishop, said that in some of the worst affected areas of his diocese, up to 100,000 people are in dire need of food. According to Mgr Taban, at least 30,000 homes lie in ruins across the diocese, half of them in three main towns – Bor, the centre of particularly severe conflict, Malakal and Bentiu. He also highlighted mass looting and attacks on core services such as pharmacies and other medical centres. The monsignor said people had no access to healthcare at a time when malaria and diarrhoea were on the rise. He reported that people without clean water were drinking from the White Nile that runs through the diocese. Across South Sudan, thousands of people have died in the conflict between South Sudan government forces and rebels led by former deputy president Riek Machar. The UN reported that since the violence started on 15 December 2013 more than 860,000 have fled their homes. Mgr Taban described how his own home in Malakal was damaged by gunfire – luckily he was not in danger – but he came home to find damage to doors, windows and lighting. Aid to the Church in Need is working with Mgr Roko to assess options for emergency aid. She raised concerns about aid convoys being looted by underpaid and hungry soldiers, citing instances of this kind involving the UN.